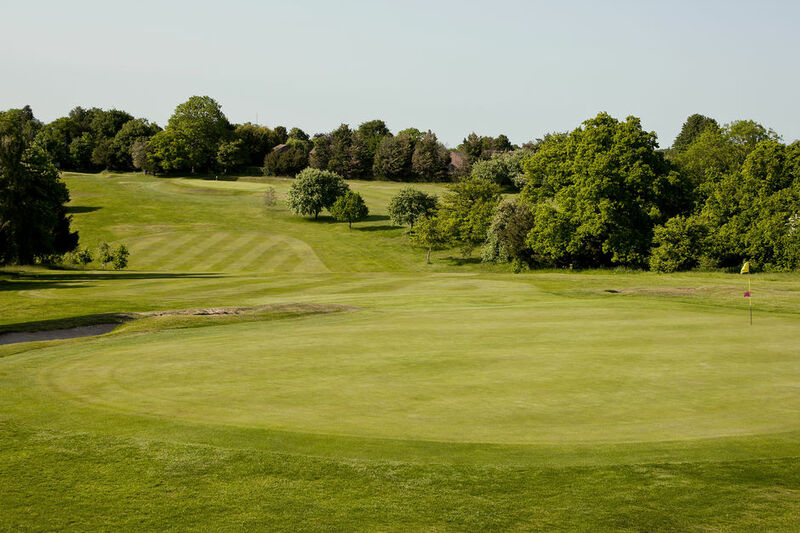 Membership :: Mature downland course, with its rolling fairways, and stunning views over the horizon of London. We are proud of our, well earned, reputation of being a warm, friendly and welcoming club. Our members enjoy their golf, coupled with a thriving social scene. 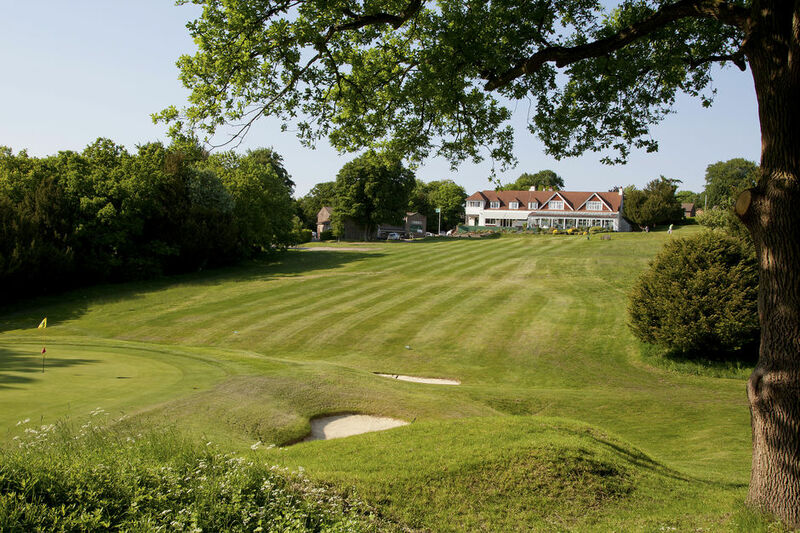 Purley Downs Golf Club truly is a members club, it is owned by the members, and run for the members. On the course weekends are the exclusive domain of members and their guests. The club owns not only the clubhouse, but also all of the land on which the course is built. This allows us to limit the membership numbers and means our course is rarely busy other than for competitions, and our Sunday morning social golf. Outside of these times there is no booking of tee times, you simply turn up and play. The course has spectacular views over London, but still retains that feeling of being in the countryside. 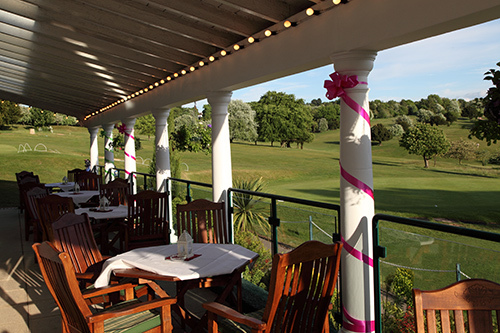 Our terrace, lounge bars, and dining room, with a picture-postcard view over the course, are perfect for a post-round drink and food, or to entertain family and friends. Competitions and the many roll-ups allow new members to quickly find friends and playing companions. Our teaching professionals offer coaching to beginner andexperienced golfers alike. And there are thriving sections for Men (including Seniors and Intermediates), Ladies, and Junior’s and plenty of opportunities for mixed golf. There are matches against other clubs, knock-out events, and a regular programme of singles, foursomes and fourball competitions in all categories. An academy run by our professionals helps encourage beginners to take up golf and join the club. We have reciprocal arrangements allowing weekday play locally at Woodcote Park, Croham Hurst, Addington Palace, Shirley Park and further afield at Pyecombe, Lewes, and West Hove golf clubs. Outside of the golf the club has an active social calendar, with a variety of functions organised through-out the year. From our spectacular Summer Ball, Christmas and New Year festivities to quiz nights and an Antiques roadshow event, to mention but a few. There really is something to suit every taste. We have 2 full sized snooker tables and a thriving snooker section as well as a bridge section, playing both social games and organised matches. For non-golfers wishing to enjoy the social aspects of the club, social membership packages are available. In addition to the golfing and social benefits described, members receive a bar card, allowing discounts on drinks purchases and a voucher booklet offering a variety of discounts in the clubhouse, pro-shop, on the course and externally. A package designed for those who do not get the time to play golf as regularly as they may wish to, but would still like to be a part of a members club. For ull information on this category please see the Flexi page. In addition we have a thriving Academy, details of which can be found on the Academy page. Please click on the link to Download an Application form. If you would like more information, or would like to arrange to play the course please enter your details here and we will get in touch with you. For membership details and current prices please ring the Office on 0208 657 8347, or email info@purleydowns.co.uk .